Oregon is the world leader in chainsaw guide-bars. It brands bars for many major chainsaw manufacturers & sells oregon-brand in the replacement market worldwide. 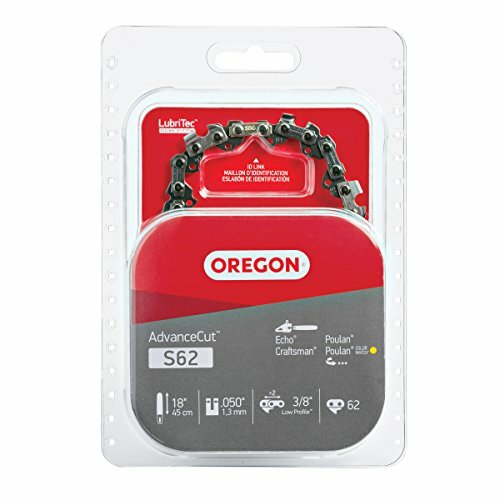 Oregon chains are used as original equipment by 90% of the world's chainsaw manufacturers & by most of the world's professional Loggers, farmers, & homeowners. Oregon also produces replacement mower blades, belts, & several other aftermarket replacement parts for power equipment. 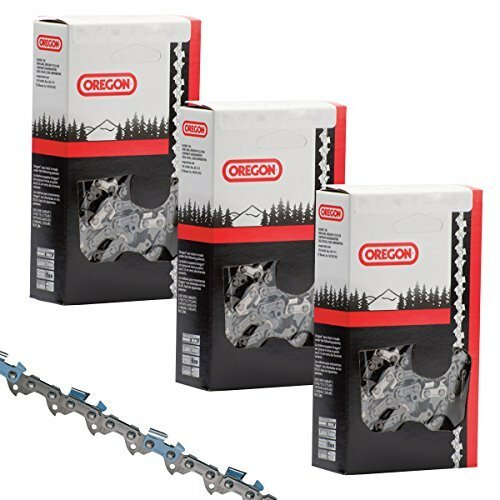 Oregon bar and chain combo pack including one 18-inch Double Guard Bar and one 91VG .050-Inch Chain. Bar and chain combo is designed for consumer and commercial use on Craftsman, Echo, Poulan, Poulan Pro, Shindaiwa and Tanaka brand chainsaws. Not intended for professional use. An Ideal choice for occasional users like property owners and commercial cutters. The low-vibration, Micro Chisel cutters that have small radius working corners for excellent performance and easy maintenance. 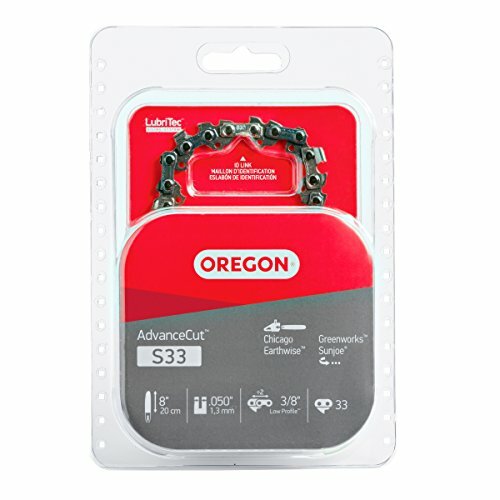 Oregon 22BPX chain, low kickback design. 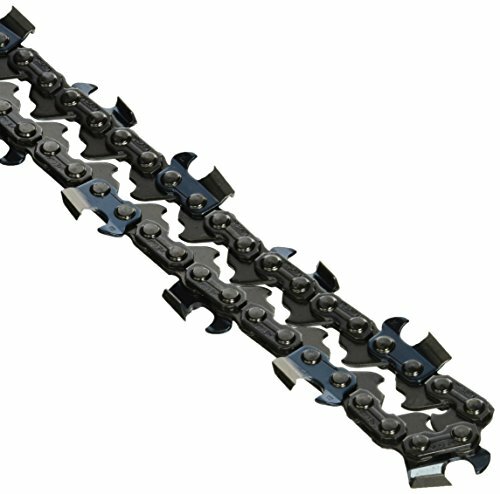 This saw chain met the kickback performance requirement of ANSI B175.1-2012 when tested according to the provision s of ANSI B175.1-2012. Low-kickback saw chain meets the kickback performance requirement of CSA Standard Z62.3. The following list of saw models is not comprehensive. 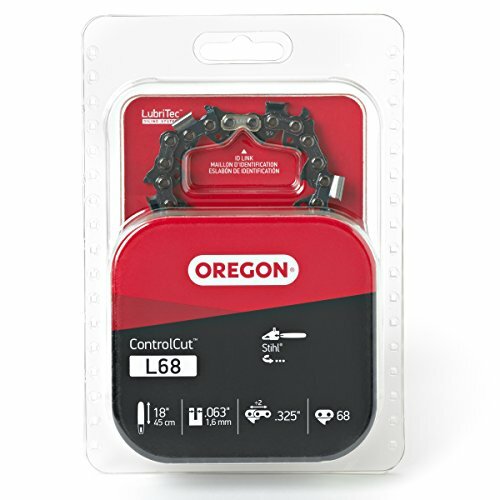 To ensure you are ordering the correct part you may call Oregon Customer Support at 1-800-223-5168. Fits the following models: Chicago - 68862 Pole Saw|Earthwise - PS40008|Greenworks - 20192 6.5 Amp Pole Saw|Greenworks - 20672 40V Polesaw|Greenworks - 20V Li-ION Pole Saw 20612|Kobalt - 506891 Kobalt 40V Polesaw|Sun Joe - iON8PS Pole Saw|Greenworks - 20352 24V Li-ION Pole Saw|Kobalt - KPS 80-06 Kobalt 40V Polesaw|Sun Joe - SWJ800E Pole Saw|Greenworks - 20302 40V Polesaw|Sun Joe - SWJ800E|Greenworks - 1400102 24V Li-ION Pole Saw|Greenworks - 6.5 Amp Pole Saw|Wen - 4021|Sun Joe - SWJ802E Pole Saw|Kobalt - KSP 80-07 Kobalt 40V Polesaw|Earthwise - CVPS41008|Earthwise - CCS30008 18Volt|Earthwise - CVP41810|Earthwise - CPS40108|Earthwise - LPS4210|Earthwise - LPS40208|Earthwise - NVPS42108|Sun Joe - SWJ806E. 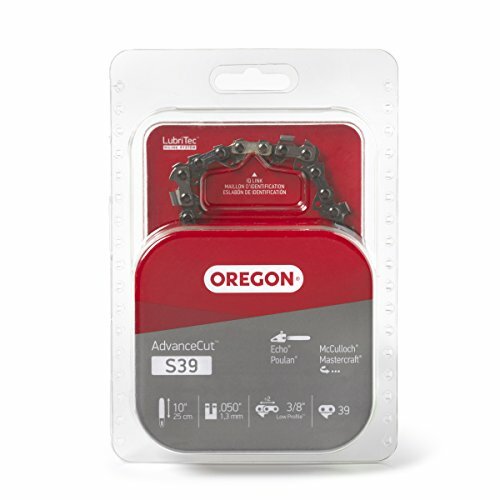 Oregon S39 Saw Chain 10"
This 20" guide bar and chain combination features a .325" chain ideal for occasional commercial users. The low-vibration micro chisel cutters offer excellent performance, easy maintenance and low kickback. The AdvanceCut guide bar features a small radius multi-rivet nose for good durability and control. Fits several models, including but not limited to the following: Stihl 024, 026, 026P, 028, 029, 030, 031, 032, 034, 036, MS 260, MS 270, MS 271, MS 280, MS 290. Stay Sharp. 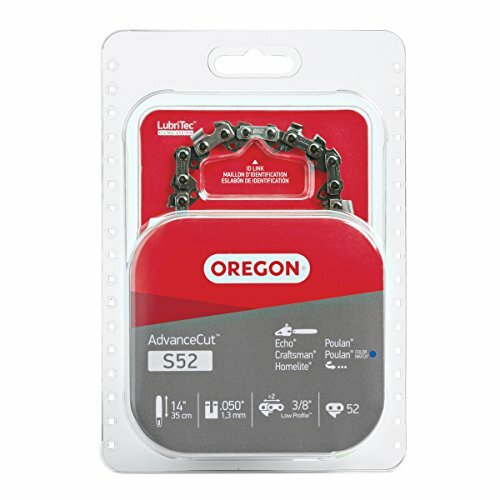 This Oregon 8 Inch Semi Chisel Pole Chainsaw Chain is designed to fit Sun Joe SWJ800E and SWJ802E Pole Chainsaw. 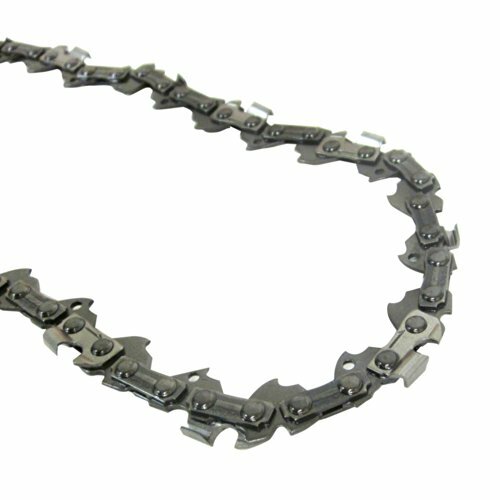 This is a precision cutting chain, heat-treated and hard chromed cutter chain. Made in the USA. 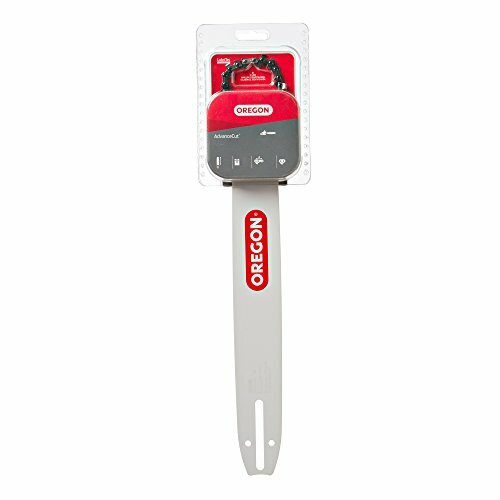 Oregon 72 Drive Link Micro-Lite .325-Inch Pitch, .050-Inch Gauge, Low Kickback Saw Chain 95VPX072G. 95VP chain is part of a Micro-Lite narrow-kerf cutting system that requires less power from the saw to cut than standard cutting systems. 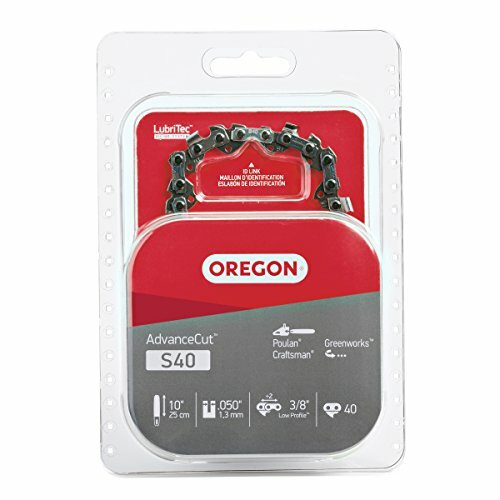 This Oregon Bench/wall Mount Chain Grinder is designed for the occasional user. 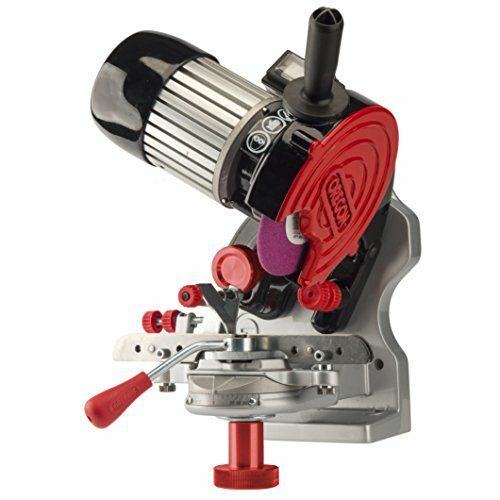 Includes a dressing Brick, a quick check grinding template, and three grinding wheels for sharpening of 1/4", 3/8" Low profile, .325", 3/8" and .404" pitch chain. Volts: 120-AC, Hertz:60HZ Amps: 1.2 amp, Watts: 140, Rated RPM: 3,500, Horsepower: 0.4, wheel size: 5-3/4" and a One-way motor operation for safety. 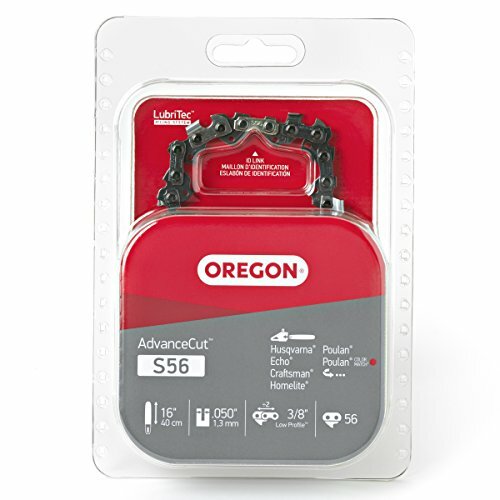 OREGON 91VXL Long Top Plate 3/8" low profile chain is built for a longer life, greater value and outstanding endurance. The semi-chisel cutters provide an aggressive cutting edge with a forgiving sharpening profile and good stay-sharp capabilities. The blued cutters provide superior corrosion resistance and improved strength. Standard sequence, .050" gauge. 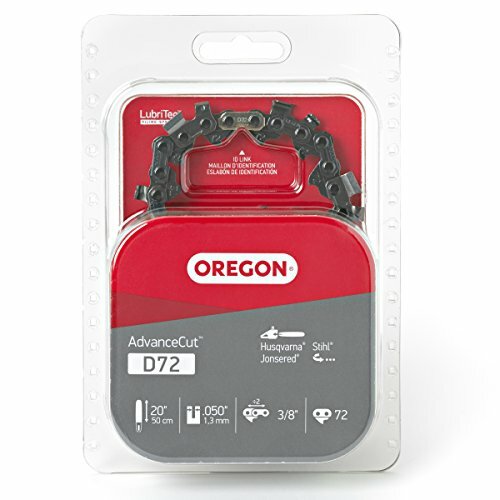 OREGON 72LGX, 73LGX, and 75LGX (3/8"-pitch Super Guard) chains feature cutters that have an advanced grind geometry that is "work ready". This series saw chain is for professionals who demand saw chain that delivers high performance, resists stretch, simple to maintain, provides long life, and is consistent from loop to loop. This chain has a Standard sequence configuration. The PS250-A6 Pole Saw, with its mid-mount motor design, provides superior weight distribution and balance. 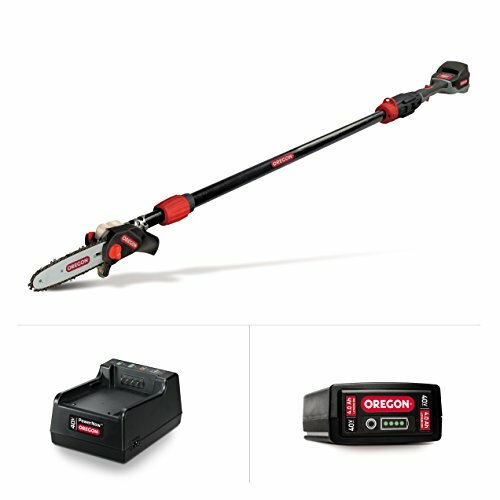 This distinctive engineering creates an original user-centric tool unique to the cordless tool industry. The Pole Saw is equipped with a tool-free extendable fiber glass shaft that allows the tool to extend from 7'3" to 10'4" and provides approximately 14-15' of reach. The high-torque performance is controlled by a custom designed planetary gear reduction system allowing for an efficient transfer of power. The PS250-A6 is configured with a compact cutting head for improved cutting agility, light-weight maneuverability and reduced elevated weight. 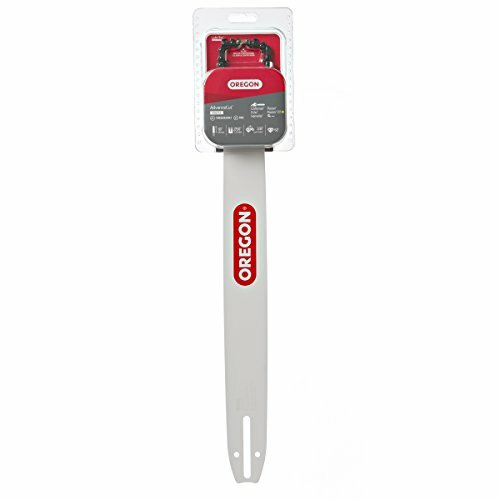 This pole saw maximizes the ergonomic design, motor power and battery performance to produce up to 500 cuts on 2-3" size branches. Weighing only 13.5 lbs with 4.0 Ah Battery Pack, this rigid and balanced, pole saw with 8" bar length and cast aluminum branch removal hook will allow for more work to get done. Battery Pack and Battery Charger included. Fully charged battery voltage measured without a workload is 40 volts. Nominal voltage is 37. Based on estimate for a 5'10" (1.8m) individual operating at a 60 degree angle +/- 18 degrees. 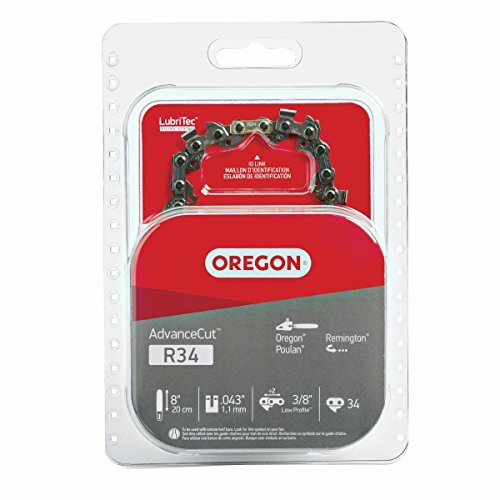 New Oregon Chain "First Impressions"